Un regard sur l'émergence des nouvelles modalités de prise en charge des blessés de guerre avec pour point d'orgue l'innovation conduite et la construction d'un écosystème complet autour de la prise en charge du blessé de guerre. Une démarche à comprendre et à bien méditer. 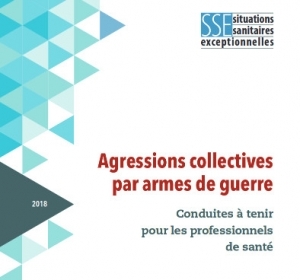 Les auteurs rapportent le soutien médical de combats menés essentiellement par des troupes amies. La lecture des fichiers associés à la publication s'impose. Pose de garrot et réchauffement sont les gestes préhospitaliers les plus fréquents. Il faut noter, au niveau des structures chirurgicales la fréquence des drainages thoraciques, des intubations et des laparotomies. U.S. military forces were redeployed in 2014 in support of Operation Inherent Resolve (OIR), operating in an austere theater without the benefit of an established medical system. We seek to describe the prehospital and hospital-based care delivered in this medically immature, non-doctrinal theater. We queried the Department of Defense Trauma Registry (DODTR) for all encounters associated with OIR from August 2014 through June 2017. We sought all available prehospital and hospital-based data. There were a total of 826 adults that met inclusion; 816 were from Iraq and the remaining 10 were from Syria. The median age was 21 years and the most frequent mechanism of injury was explosives (47.7%). Median composite injury severity scores were low (9, IQR 2.75-14) and the most frequent seriously injured body region was the extremities (23.0%). Most subjects (94.9%) survived to hospital discharge. Open fractures were the most frequent major injury (26.0%). 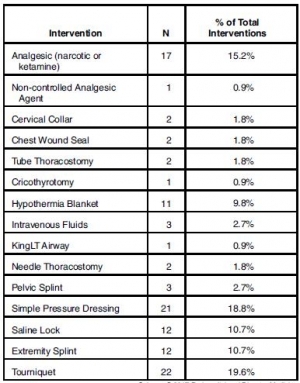 In the prehospital setting, opioids were the most frequently administered medication (9.3%) and warming blanket application (48.7%) and intravenous line placement (24.8%) were the most frequent interventions. In the emergency department, Focused Assessment with Sonography in Trauma exams (64.3%) was the most frequently performed study and endotracheal intubations were the most frequent (29.9%) procedure. In the operating room, the most frequently performed procedure was exploratory laparotomy (12.3%). Host nation military males injured by explosion comprised the majority of casualties. Open fracture was the most common major injury. Hence, future research should focus upon the unique challenges of delivering care to members of partner forces with particular focus upon interventions to optimize outcomes among patients sustaining open fractures. The military operations carried out by the French armed forces, occasionally require the use of the Surgical Life-saving Module (SLM), to ensure the surgical support of its soldiers. Due to its extreme mobility and capacity of fast deployment, SLM is particularly useful in small-scale military operations, such as Special Forces missions. In 2017, the French SLM was for the first time used to ensure surgical support of allied forces, which were lacking forward surgical capabilities. Materials and Methods: the SLM is a mobile, heliborne, airborne, surgical structure with parachuting capability onto land or sea, therefore essentially focused on life-saving procedures, also known as "damage control" surgery. Due to the need for mobility and rapid implementation, the SLM is limited to a maximum of 5 interventions or, in terms of injuries, to 1 or 2 seriously injured patients. Over a period of 2 months, 5 medical teams were successively deployed with the SLM. A total of 157 casualties were treated. The most common injuries were caused by shrapnel 561%), followed by firearms (36%), and blunt trauma (2.5%). Injuries included the limbs (56%), thorax (18%), abdomen (13%), head (11%), and neck (2%). The average ISS was 8.5 (1-25) with 26 patients presenting with an ISS greater than or equal to 15. The average NISS was 10.8 (1-75) with 34 casualties having an NISS equal to or greater than 15. The surgical procedures were broken down as follows: 126 dressings, 16 laparotomies, 7 thoracotomies, 12 isolated thoracic drains (without thoracotomy), 1 cervicotomy, 12 amputations, 7 limb splints, 2 limb fasciotomies, 2 external fixators and 1 femoral fracture traction. The numerous SLM deployments in larger operations highlighted its ability to adapt both in terms of equipment and personnel. Continuous management of equipment logistics, robust personnel training, and appropriate organization of the evacuation procedures, were the key elements for optimizing combat casualty care. As a consequence, the SLM appears to be an operational surgical unit of choice during deployments. A Review of Casualties Transported to Role 2 Medical Treatment Facilities in Afghanistan. Ce document met en évidence tout l'apport d'une chaine coordonnée de prise en charge du traumatisé par des équipes entraînées appliquant une stratégie médico-chirurgicale moderne. Critically injured trauma patients benefit from timely transport and care. Accordingly, the provision of rapid transport and effective treatment capabilities in appropriately close proximity to the point of injury will optimize time and survival. Pre-transport tactical combat casualty care, rapid transport with en route casualty care, and advanced damage control resuscitation and surgery delivered early by small, mobile, forward-positioned Role 2 medical treatment facilities have potential to reduce morbidity and mortality from trauma. This retrospective review and descriptive analysis of trauma patients transported from Role 1 entities to Role 2 facilities in Afghanistan from 2008 to 2014 found casualties to be diverse in affiliation and delivered by various types and modes of transport. Air medical evacuation provided transport for most patients, while the shortest transport time was seen with air casualty evacuation. Although relatively little data were collected for air casualty evacuation, this rapid mode of transport remains an operationally important method of transport on the battlefield. For prehospital care provided before and during transport, continued leadership and training emphasis should be placed on the administration and documentation of tactical combat casualty care as delivered by both medical and non-medical first responders. Survey of Casualty Evacuation Missions Conducted by the 160th Special Operations Aviation Regiment During the Afghanistan Conflict. Historically, documentation of prehospital combat casualty care has been relatively nonexistent. Without documentation, performance improvement of prehospital care and evacuation through data collection, consolidation, and scientific analyses cannot be adequately accomplished. During recent conflicts, prehospital documentation has received increased attention for point-of-injury care as well as for care provided en route on medical evacuation platforms. However, documentation on casualty evacuation (CASEVAC) platforms is still lacking. Thus, a CASEVAC dataset was developed and maintained by the 160th Special Operations Aviation Regiment (SOAR), a nonmedical, rotary-wing aviation unit, to evaluate and review CASEVAC missions conducted by their organization. A retrospective review and descriptive analysis were performed on data from all documented CASEVAC missions conducted in Afghanistan by the 160th SOAR from January 2008 to May 2015. Documentation of care was originally performed in a narrative after-action review (AAR) format. Unclassified, nonpersonally identifiable data were extracted and transferred from these AARs into a database for detailed analysis. Data points included demographics, flight time, provider number and type, injury and outcome details, and medical interventions provided by ground forces and CASEVAC personnel. There were 227 patients transported during 129 CASEVAC missions conducted by the 160th SOAR. Three patients had unavailable data, four had unknown injuries or illnesses, and eight were military working dogs. Remaining were 207 trauma casualties (96%) and five medical patients (2%). The mean and median times of flight from the injury scene to hospital arrival were less than 20 minutes. Of trauma casualties, most were male US and coalition forces (n = 178; 86%). From this population, injuries to the extremities (n = 139; 67%) were seen most commonly. The primary mechanisms of injury were gunshot wound (n = 89; 43%) and blast injury (n = 82; 40%). The survival rate was 85% (n = 176) for those who incurred trauma. Of those who did not survive, most died before reaching surgical care (26 of 31; 84%). Performance improvement efforts directed toward prehospital combat casualty care can ameliorate survival on the battlefield. Because documentation of care is essential for conducting performance improvement, medical and nonmedical units must dedicate time and efforts accordingly. Capturing and analyzing data from combat missions can help refine tactics, techniques, and procedures and more accurately define wartime personnel, training, and equipment requirements. This study is an example of how performance improvement can be initiated by a nonmedical unit conducting CASEVAC missions. The accurate assessment and diagnosis of combat injuries are the basis for triage and treatment of combat casualties. A consensus on the assessment and diagnosis of combat injuries was made and discussed at the second annual meeting of the Professional Committee on Disaster Medicine of the Chinese People's Liberation Army (PLA). In this consensus agreement, the massive hemorrhage, airway, respiration, circulation and hypothermia (MARCH) algorithm, which is a simple triage and rapid treatment and field triage score, was recommended to assess combat casualties during the first-aid stage, whereas the abbreviated scoring method for combat casualty and the MARCH algorithm were recommended to assess combat casualties in level II facilities. In level III facilities, combined measures, including a history inquiry, thorough physical examination, laboratory examination, X-ray, and ultrasound examination, were recommended for the diagnosis of combat casualties. 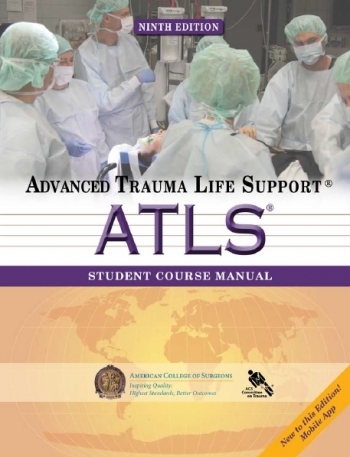 In addition, corresponding methods were recommended for the recognition of casualties needing massive transfusions, assessment of firearm wounds, evaluation of mangled extremities, and assessment of injury severity in this consensus. Groupe O: Plus de mortalité ? A total of 901 patients were included in this study. The study population was divided based on the ABO blood type: type O, 284 (32%); type A, 285 (32%); type B, 209 (23%); and type AB, 123 (13%). Blood type O was associated with high mortality (28% in patients with blood type O versus 11% in patients with other blood types; p < 0.001). Moreover, this association was observed in a multivariate model (adjusted odds ratio = 2.86, 95% confidence interval 1.84-4.46; p < 0.001). The impact of blood type O on all-cause in-hospital mortality was comparable to 12 increases in the ISS, 1.5 decreases in the RTS, and 26 increases in age. Furthermore, blood type O was significantly associated with higher cause-specific mortalities and shorter VFD compared with the other blood types; however, a significant difference was not observed in the transfusion volume between the two groups. Morts évitables Civil vs Militaire: Parle-t-on de la lmême chose ? Comparison of Military and Civilian Methods for Determining Potentially Preventable Deaths: A Systematic Review. Janak JC et Al. JAMA Surg. 2018 Feb 21. doi: 10.1001/jamasurg.2017.6105. 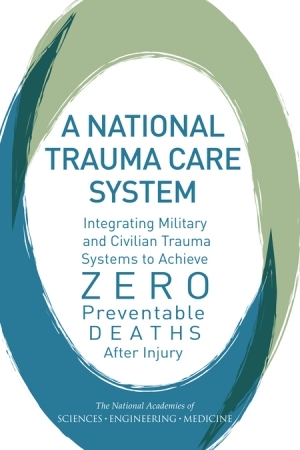 Military and civilian trauma experts initiated a collaborative effort to develop an integrated learning trauma system to reduce preventable morbidity and mortality. Because the Department of Defense does not currently have recommended guidelines and standard operating procedures to perform military preventable death reviews in a consistent manner, these performance improvement processes must be developed. To compare military and civilian preventable death determination methods to understand the existing best practices for evaluating preventable death. This systematic review followed the PRISMA reporting guidelines. English-language articles were searched from inception to February 15, 2017, using the following databases: MEDLINE (Ovid), Evidence-Based Medicine Reviews (Ovid), PubMed, CINAHL, and Google Scholar. Articles were initially screened for eligibility and excluded based on predetermined criteria. Articles reviewing only prehospital deaths, only inhospital deaths, or both were eligible for inclusion. Information on study characteristics was independently abstracted by 2 investigators. Reported are methodological factors affecting the reliability of preventable death studies and the preventable death rate, defined as the number of potentially preventable deaths divided by the total number of deaths within a specific patient population. Fifty studies (8 military and 42 civilian) met the inclusion criteria. In total, 1598 of 6500 military deaths reviewed and 3346 of 19 108 civilian deaths reviewed were classified as potentially preventable. Among military studies, the preventable death rate ranged from 3.1% to 51.4%. Among civilian studies, the preventable death rate ranged from 2.5% to 85.3%. The high level of methodological heterogeneity regarding factors, such as preventable death definitions, review process, and determination criteria, hinders a meaningful quantitative comparison of preventable death rates. The reliability of military and civilian preventable death studies is hindered by inconsistent definitions, incompatible criteria, and the overall heterogeneity in study methods. The complexity, inconsistency, and unpredictability of combat require unique considerations to perform a methodologically sound combat-related preventable death review. As the Department of Defense begins the process of developing recommended guidelines and standard operating procedures for performing military preventable death reviews, consideration must be given to the factors known to increase the risk of bias and poor reliability. 1/3 de médical, 1/3 de trauma non lié au combat, 1/3 lié au combat. L'essor de la télé-médecine opérationnelle. A survey distributed to US military medical providers solicited details of PFC encounters lasting more than 4 hours and included patient demographics, environmental descriptors, provider training, modes of transportation, injuries, mechanism of injury, vital signs, treatments, equipment and resources used, duration of PFC, and morbidity and mortality status on delivery to the next level of care. Descriptive statistics were used to analyze survey responses. Surveys from 54 patients treated during 41 missions were analyzed. The PFC provider was on scene at time of injury or illness for 40.7% (22/54) of cases. The environment was described as remote or austere for 96.3% (52/54) of cases. Enemy activity or weather also contributed to need for PFC in 37.0% (20/54) of cases. Care was provided primarily outdoors (37.0%; 20/54) and in hardened nonmedical structures (37.0%; 20/54) with 42.6% (23/54) of cases managed in two or more locations or transport platforms. Teleconsultation was obtained in 14.8% (8/54) of cases. The prehospital time of care ranged from 4 to 120 hours (median 10 hours), and five (9.3%) patients died prior to transport to next level of care. PFC in the prehospital setting is a vital area of military medicine about which data are sparse. This review was a novel initial analysis of recent US military PFC experiences, with descriptive findings that should prove helpful for future efforts to include defining unique skillsets and capabilities needed to effectively respond to a variety of PFC contingencies. Afflux massif: Que fait on vraiment ? Prehospital Interventions During Mass-Casualty Events in Afghanistan: A Case Analysis. Finalement des choses simples à faire PARFAITEMENT, et pas forcément par des médecins. On note quand même la présence des immobilisations des verrous salés et de gestes comme des exsufflations thoraciques ou des coniotomies. Mass-casualty (MASCAL) events are known to occur in the combat setting. There are very limited data at this time from the Joint Theater (Iraq and Afghanistan) wars specific to MASCAL events. The purpose of this report was to provide preliminary data for the development of prehospital planning and guidelines. Cases were identified using the Department of Defense (DoD; Virginia USA) Trauma Registry (DoDTR) and the Prehospital Trauma Registry (PHTR). These cases were identified as part of a research study evaluating Tactical Combat Casualty Care (TCCC) guidelines. Cases that were designated as or associated with denoted MASCAL events were included. Data Fifty subjects were identified during the course of this project. Explosives were the most common cause of injuries. There was a wide range of vital signs. Tourniquet placement and pressure dressings were the most common interventions, followed by analgesia administration. Oral transmucosal fentanyl citrate (OTFC) was the most common parenteral analgesic drug administered. Most were evacuated as "routine." Follow-up data were available for 36 of the subjects and 97% were discharged alive. The most common prehospital interventions were tourniquet and pressure dressing hemorrhage control, along with pain medication administration. Larger data sets are needed to guide development of MASCAL in-theater clinical practice guidelines.